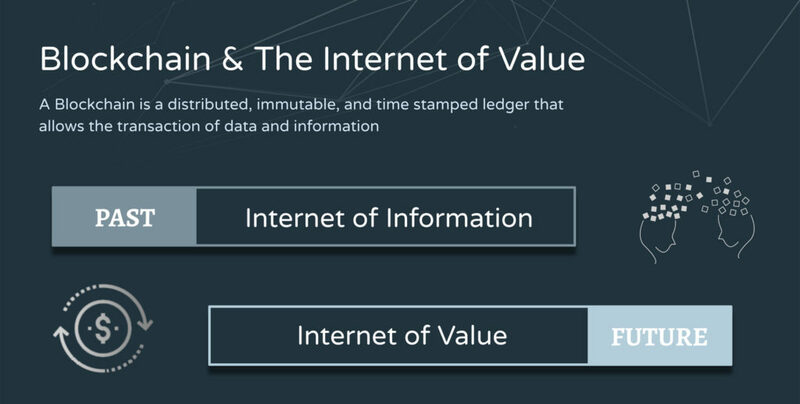 We are undergoing a transition within the digital age as we move from an internet of information to an internet of value. The internet of information entails copying information and repeatedly circulating it throughout the web. However, sending copies of delicate information – such as credit card credentials, confidential documents, and monetary value – is inherently unsafe. Blockchain, a distributed database technology, has become the catalyst in moving us into a new-age internet made for the transaction of value. Poised to improve various aspects of our lives, blockchain has spurred a new wave of interest and revolutionary innovation. Blockchain – otherwise referred to as distributed ledger technology or DLT, for short – is a shared immutable database used to verify transactions and information authenticity. Industry leaders and government entities alike are adopting this technology, aiming to provide decentralized products and services to cut fraud, costs, and unnecessary third-party intervention. From a high-level point of view, a blockchain is a distributed data structure that makes it possible to create a digital record of transactions that is shared, monitored, and maintained by a distributed network of computers. It uses cryptography to allow each participant on the network to manipulate the ledger in a secure way without the need for a central authority. A network of computers – otherwise referred to as nodes – agree on a single, distributed ledger of every transaction that has ever taken place. 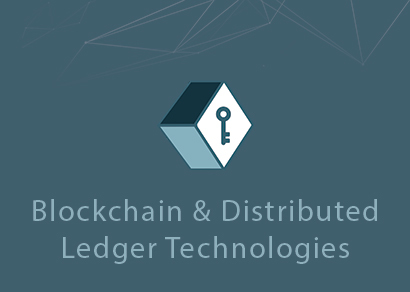 These nodes ensure the legitimacy of each transaction and overall ledger. When a transaction occurs, it is broadcast across the network and is added to the next available “block” of transactions. Each block is given a time stamp, cryptographically secured and interlocked with the previous blocks; thus, chaining the set of information together and becoming immutable. Blockchain is enabled by three primary technologies: asymmetric key encryption, a peer-to-peer network, and a program. Asymmetric encryption – consisting of a public and private encryption keys – enables participants to have unique identities, used for digital asset storage and overall network interaction. A peer-to-peer network is an infrastructure for record storage. The P2P aspect allows all participating parties to submit information and maintain the authenticity and security of the network. The program is the blockchain’s underlying protocol layer – such as the Bitcoin protocol or the Ethereum protocol – which determines the functionality of the platform. Blockchain innovates on today’s data structures in that it provides a trustless network, meaning that users do not need to place their trust in third parties to verify the authenticity of information. Using today’s traditional banking system as an example, one would need to place complete trust in a centralized record of bank information and transactions without true transparency and verifiable authenticity. Although trust is seemingly inherent, it can often be abused, leaving crucial information exposed. In July of 2012, this phenomenon unfolded as a Russian hacker stole nearly $100 million USD from banks using a false identification tactic, CNBC reported. In comparison, blockchain ensures user authenticity and provides a transparent record of transactions and information. Blockchain is the brainchild of a person or persons under the pseudonym Satoshi Nakamoto, who revealed the technology in the Bitcoin White Paper in October of 2008. Bitcoin, whose network went live for the first time on January 3rd of 2009, is the first digital currency enabled by blockchain. As outlined by Nakamoto, Bitcoin is a peer-to-peer digital currency, utilizing a distributed network; thus, preventing the need for a central authority. In 2011, Satoshi Nakamoto stepped away from the Bitcoin project; however, the Bitcoin blockchain has continued to improve in his absence through community contribution to Bitcoin’s open-source code. Many people often confuse blockchain with Bitcoin or other digital assets; however, they are not necessarily one in the same. Indeed, the lion share of blockchain projects today utilize an underlying digital asset atop blockchain. These are considered permissionless or public blockchains as they rely on community contribution, cryptoeconomics and open-source code. That said, various blockchains do not use underlying digital assets of exchange. Known as permissioned or private blockchains, these platforms only allow for known, authenticated, and approved parties to participate in the network. 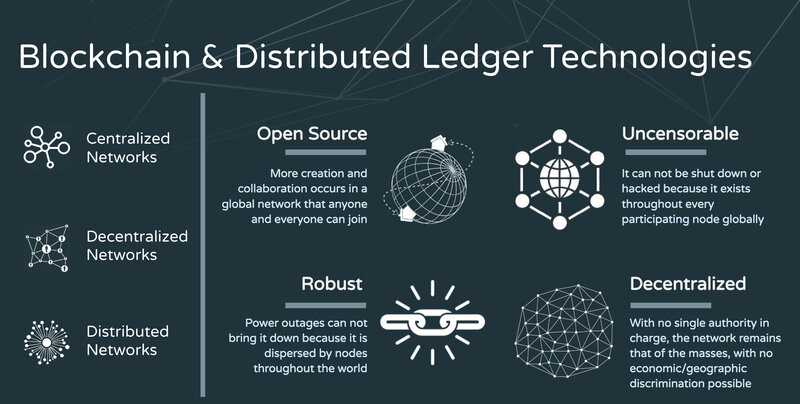 As distributed ledger technology continues to develop, blockchain will emerge as one of the most crucial innovations of our time alongside that of the invention of the internet. If you are interested in learning more or adding to the discussion, contact us here.